Four princess cut diamonds are invisibly set at the center of this diamond engagement ring and wedding band. Thirty brilliant round diamonds beautifully sparkle from within a 14 karat white gold foundation. 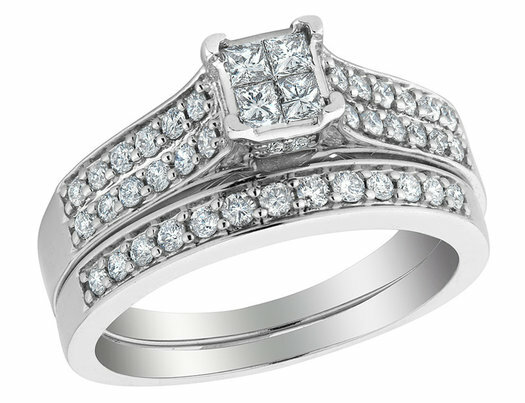 This beautiful and unique diamond ring is just for you.